A Californian woman drank herself to death last week while competing in a contest to see who could drink the most water without going to the toilet. 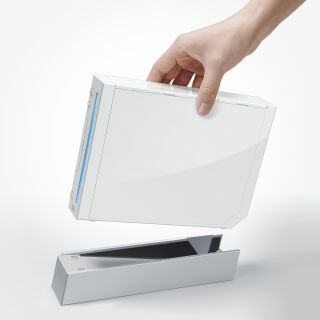 'Hold your wee for a Wii' was the ridiculous name of a contest devised by a local radio station, with the idea to award the victor a new Nintendo Wii. Jennifer Strange took part in the KDND 107.9 contest to try and win the games console for her children. After giving up and rushing to the toilet, Ms Strange wept and complained of a headache. She was later found dead in her home. During the deadly contest, game Wii fans were made to drink half-pint bottles of water every 15 minutes, without going for a 'wee'. After an hour, those still left in moved on to even larger quantities to decide on a winner. Apparently oblivious to the risks of water poisoning, Strange was overcome by water intoxification and died shortly after arriving home. It is not known just how much water Ms Strange drank, only that it wasn't enough to win her the competition. John Geary from KDND 107.9 in Sacramento said staff at he station were 'stunned' to learn of Ms Strange's death.